Sir James Pendred (Garry Marsh) is pursued by terrifying noise to his office in the Department of Forestry Research. He bolts the outer door, then locks his office door. as he turns the key, there's another blast of the noise and the door disappears, revealing two men - Kenneth and George (Gerald Sim and Jerome Willis). George shoots him and they softly chuckle while he fingers the empty hinges. Steed and Tara are summoned to Mother's new inflatable plastic office - which Rhonda (Rhonda Parker) is busy inflating with a pump. Mother (Patrick Newell) tells them Pendred was ambushed and killed as he left work last night, minutes after ringing the Prime Minister on a matter of national urgency. Steed visits Pendred's office where Carter (Noel Davis) tells him nothing is missing - except the two doors. 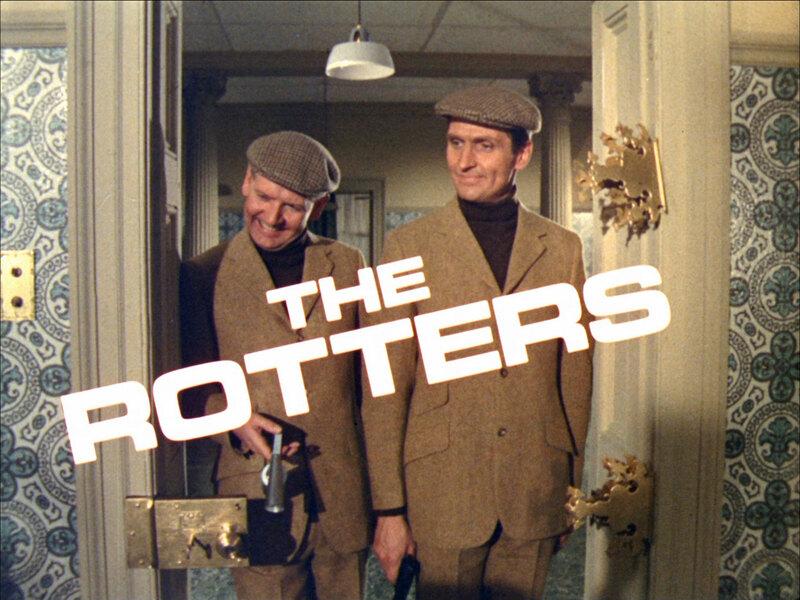 George and Kenneth arrive at Sir James' home in a van marked "Wormdoom Ltd" and they menace the manservant (Harry Hutchinson) then demand an old photograph of Sir James with other students from the Institute of Timber Technology. George kills the manservant when he tries to escape and they dispose of the locked desk with their wood destroyer. They've just found the photo album when Tara rings the doorbell. She sees the manservant through the keyhole and picks the lock. Kenneth goes to kill her but she kicks the gun out of his hand then fights off George. The killers beat a hasty retreat through the window but George is forced to drop the photo when Tara traps him arm in the window. She rings Steed at Pendred's office and when he grabs a pencil to write down the photo details, the pencil crumbles in his hand. Tara visits the Institute where she meets Professor Palmer (John Nettleton), a mad old buzzard who thinks he's still in some outflung corner of Empire. He identifies the men in the photo - Pendred, Pym, Forsythe, Wainwright and Sawbow, whom he describes as a bit of a rotter. 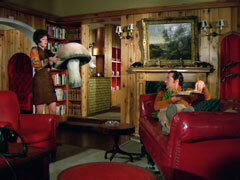 He tells her the men discovered something about fungi but got worried and took an oath of secrecy. He's about to tell her what it was when a woodcutter, Sandford (Dervis Ward), kills him with throwing knife. Carter meanwhile has recommended Steed talk to Reggie Pym about the disintegrated pencil. 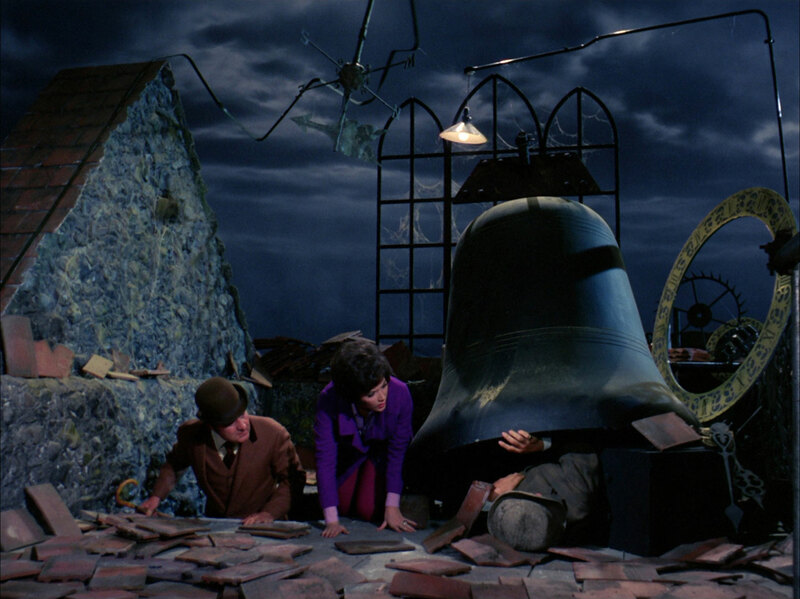 Steed finds Pym (Eric Barker) in a church steeple, and he recalls encountering a similar wood disintegration only once but then says he's busy dealing with a Death Watch beetle infestation. He promises to examine it and call Steed. 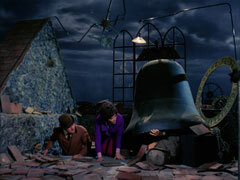 Tara arrives at Steed's flat and reveals that Palmer has been killed, so they rush off to check Pym but the killers arrive first and crush him under the tenor bell by disintegrating the beams. His dying words are, "Dry rot". Forsythe is in Africa so Steed goes to visit Sawbow, leaving Tara to tackle Wainwright. He discovers Sawbow (Frank Middlemass) 'restoring' new furniture to antique condition. Steed claims to be from Steed & Hepplewhite, Antique Exporters, looking for select pieces to send to America. Sawbow is congenial until Steed mentions Pym and dry rot. Steed departs and overhears him answer the 'phone and agree to meet someone. Tara arrives at Wainwright Timber Industries and asks Sonia (Toni Gilpin) if she can see Mr Wainwright. She summons Parbury (Harold Innocent) who leads her to Wainwright (Charles Morgan) - lying in a coffin! Parbury explains he died from overwork, and is in state for the staff to pay their last respects. Parbury is from the BBC - British Burial Caskets - a subsidiary of Wainwright which uses NeverRot preservative - which is made by Wormdoom. George and Kenneth arrive and hide from Tara. Sonia rings Sandford and he cuts off Tara with his lorry, then chases her into the woods with an axe. She evades him so he steals her Lotus and she witnesses him disintegrate a locked gate to escape. 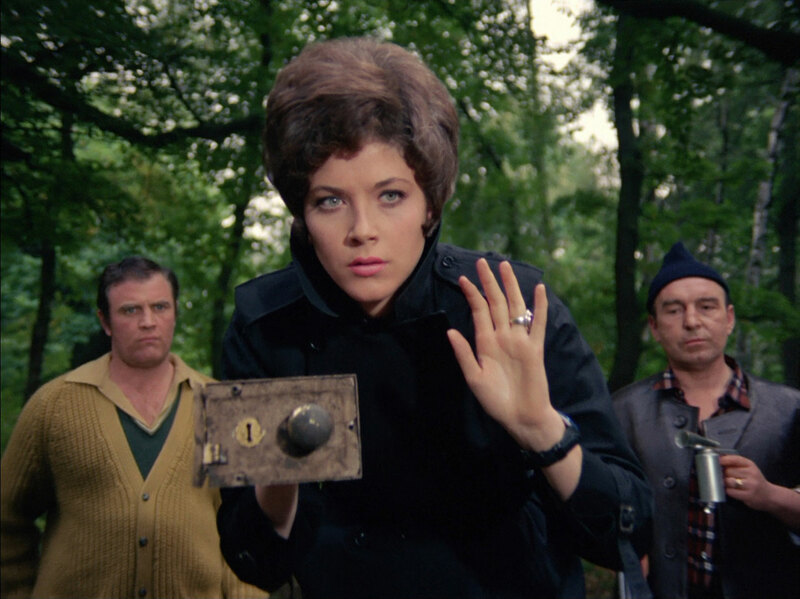 She relates events to Steed - including finding her car eight miles away with flat tyres - and he determines to visit Forsythe (in Hertfordshire, not Africa) while Tara keeps tabs on Sawbow. Steed meets Mrs Forsythe (Amy Dalby) who is waiting her son's return and cutting off the roses on the cottage - she prefers plastic flowers. She leads him inside and introduces him to Kenneth and George, who have also claimed to be friends of Victor. 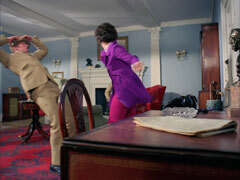 Kenneth pulls a gun on Steed when the old lady goes to make tea but her prompt return denies him the opportunity. 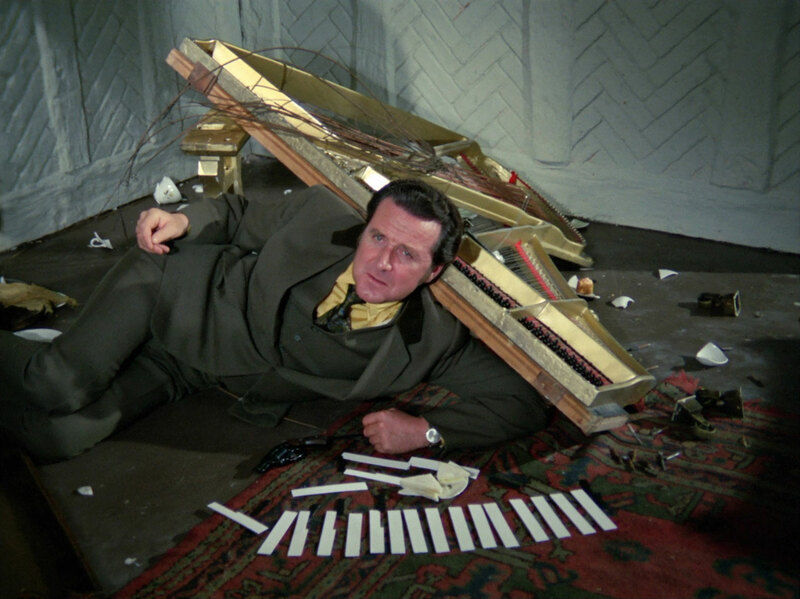 Steed hurls the hot tea at them when she fetches the sugar but Kenneth retaliates, disintegrating the piano and trapping Steed under the metal remains. Mrs Forsythe and scolds Steed, telling him to "put those things in the piano, wherever it is". Tara follows Sawbow to the woods near Wainwright where he's menaced by Sandford and Jackson (John Scott), who tell him he won't be keeping his appointment, they've come instead. They hear Tara approaching and Jackson is sent to deal with her. She knocks Jackson down and Sawbow is shot when he tries to take advantage the situation. Tara takes refuge in a shed and is startled when it disappear from around her - Jackson knocks her out and carries her away. Mother tells Steed Sawbow's body has been found and that Forsythe was in Paris a week ago - he may have slipped across the channel. Steed is more worried about Tara, who has come to, chained up in a laboratory at Wainwright's. Mother receives a call - Forsythe has arrived at Steed's apartment - but Sonia has sent someone to deal with Steed and Forsythe is fighting him. Steed enters and checks a man lying on the carpet. "So you're Forsythe", he says then Forsythe (John Stone) reappears from the kitchen and says, "No, I am". Tara escapes by pouring acid on her bonds but is quickly recaptured when she hides in the alcove holding Wainwright's coffin and he rises from the coffin to hold her at gunpoint. Forsythe meanwhile learns Steed's identity and reveals he and the other four men had discovered a mutation of dry rot that produced huge fungi that spread like wildfire. Steed tells him the other four are dead but Forsythe tells him he spoke to Wainwright half an hour ago, and he sounded mad as a hatter. Steed sets off to Wainwright's where Tara has convinced the snobby George and Kenneth it wouldn't be cricket to kill a girl, but is disappointed when Sandford and Wainwright arrive. Wainwright tells her he's putting pillar boxes across Britain which are huge spray cans of unretarded dry rot. He plans to rot the whole of Britain, of Europe, the whole world unless he receives £1,000,000,000. Steed arrives and easily disposes of the minions then frees Tara with the rot spray. Wainwright flees up a staircase but Steed turn the spray on it and he flees through into the coffin. Tara is preparing a massive meal in the kitchen, Steed suggesting the best kinds of ingredients. He announces they'll have a fine mushroom omelette, at which Tara comes out and grabs a mushroom the size of a small chair and carries it into the kitchen.